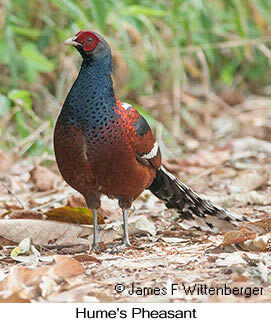 Our North Thailand birding tour features many of the best birding sites in northern, western, and central Thailand. The tour is likely to record over 400 species in 2 weeks. The best time to take this tour is from December-March when wintering migrants from the north are present. Accommodations include western-style hotels, Thai-style hotels, and two nights of tent camping with meals provided by the park ranger's wife (at Mae Wong). Upgrades are possible in some areas at additional expense. Tent camping at Mae Wong can be avoided by staying at a hotel in town, which precludes night drives for mammals and night birds within the park. The tour begins with a 2-hour drive to Pak Thale and Laem Pak Bia where wetlands, salt ponds, and coastal beaches and mudflats attract wintering shorebirds, most notably the endangered Spoon-billed Sandpiper. Numerous other wintering shorebirds are present from November-March. The tour then proceeds north to Nakhon Sawan in central Thailand for lowland open country birding along with a boat trip on Bung Boraphet reservoir. Then it proceeds west to the lush montane forests of Mae Wong followed by birding in the dry dipterocarp forests of Mae Ping. Continuing north, the tour covers the varied habitats of the mountainous north with visits to Doi Inthanon, Doi Ang Khang, and Doi Lang. 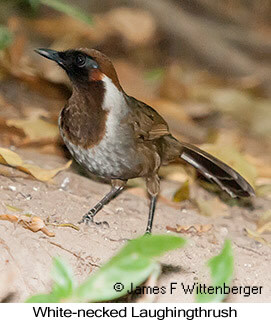 Each locale has its target birds, including notable specialties such as several species of pheasants, broadbills, minivets, cuckooshrikes, bulbuls, leaf-warblers, babblers, and more. The tour concludes with a transfer to Chiang Mai followed by a domestic flight back to Bangkok.